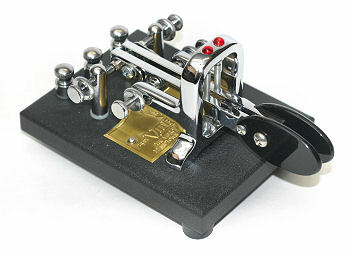 Iambic Standard upgraded with jeweled spring-loaded movement as used on the Iambic Deluxe. See our Technical Info page for explanation of jeweled vs. non-jeweled movements. SPECIAL ORDER ITEM: The upgraded version is built to order. Allow up to 10 days for shipment from time of order. What's jeweled vs. non-jeweled movements? (Link will open in new window).